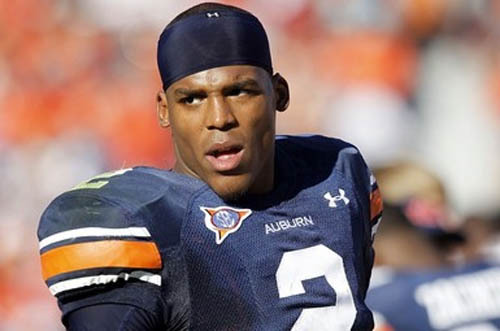 Cam Newton, the Heisman trophy winner, is thinking about entering the NFL Scouting Combine to show off his skills and hard work to get drafted. “I’m now trying to become the best player I can become. I understand that now I’m a professional, I have to be mature enough to think that way. I don’t have a couch, like in college, to call you every morning. I’m trying to polish my skills on a day-to-day basis. I’m aware I’m moving up on some draft board, but that doesn’t matter to me. To worry about what other people think is a negative in my book,” said Heisman Trophy winner Cam Newton in an interview with Ed Gruver. Cam Newton is one of a kind quarter back. He can do it all with his speed and his arm that can get the ball there before the defense can catch up to it. “I think a team that can build around him and can revolve around him, He can do it all as seen this year and his pass and run he is a dual threat so we will have to see which team picks him up,” said sophomore Tim Harris. Newton is going to get picked early in the draft and go to a team that really needs him and may help their team win games. “I think he should go to the Bills as the 3rd overall pick in the draft, they need a quarterback. He will help by a new style of quarterback by his rushing game a Mike Vick style,” sophomore Aaron Lugo said. “I’ve been preparing to be confident in a lot of things,” Cam Newton said in an interview with Ed Gruver. He has his own endorsement deal with Under Armour that he will wear hes signature shoe to the NFL Scouting Combine. “I think he should go to the lions because they get first pick in draft and they need a quarter back. The lions won like two games in like 16 years they need someone that can throw the ball and run at the same time and not get sacked like 85 times in a single game. They need to win more then two game in the next four years,” said sophomore Zac Burke. Cam Newton is a player that may go anywhere and won’t care, he will just want to play and get better at that level so he can lead his team to many victories. “We don’t have anything set in stone. I’m pretty sure I’ll be in a commercial. But this is a blessing in itself. I would never have imagined it, but here I am,” said Cam Newton in an interview with Ed Gruver. Cam Newton is a player that may be great for a long time and could make the team he plays for very happy with his running ability and his strong arm.